Partnerships & Loyalty has its rewards! Park2Go is a proud partner of AMARewards. AMA / CAA Members save on daily and weekly parking rates at Park2Go. Due to space limitations, reservations are always recommended. Park up to 30 days and pay only $149.25. Pay for a minimum of 16 days at regular price and park for up to 30 days for only $149.25 plus GST. Regular rates apply to additional months, weeks, and days. Extended Stay Special is valid on travel departing up to April 30, 2019. $48.30 weekly when you reserve online and only $9.66 per each additional day! 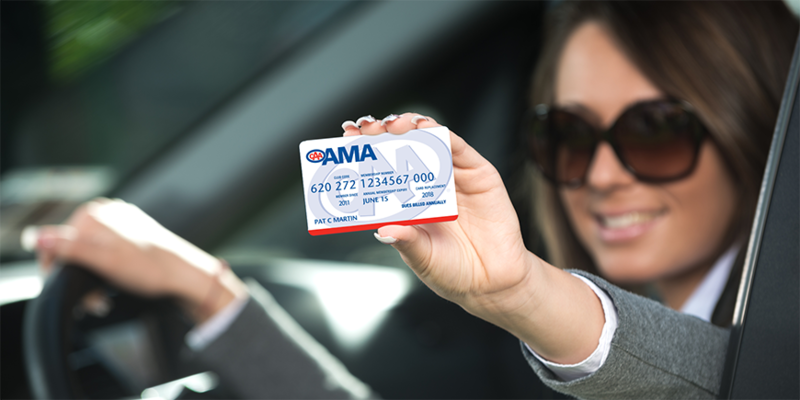 Show your AMA / CAA Card and save 25% Reserve now! AMA / CAA Members will save 25% on daily and weekly parking rates at Park2Go. Web reservation is required and you must quote promo code AMA159. Extended stay special guests must park for a minimum of 16 consecutive days and must present a physical AMA membership card at check-out. Regular rates apply to additional months, weeks and days. Offer cannot be combined with any other promotions or discounts. Parking Terms: All charges begin at time of check in. 1 day = 24 hours; 1 week = 7 consecutive days. Rate cannot be combined with any other discounts, promotion or offers. Rate based on 7 day stay. Offer valid on travel until April 30, 2019. Rates subject to applicable taxes.